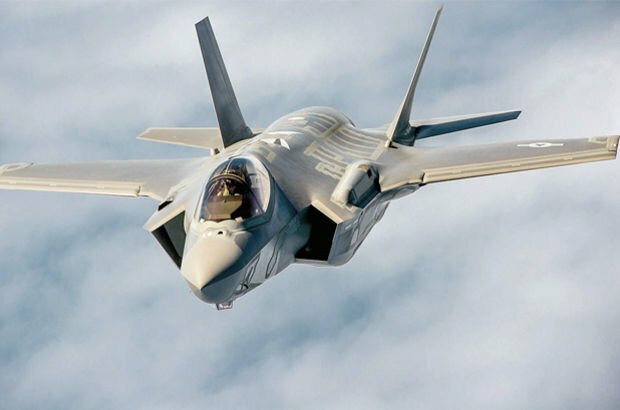 The United States is set to deliver the first of 100 new F-35 fighter jets to Turkey, in spite of a U.S. Congress bill calling for a halt in weapons sales due to faltering relations between the two countries, Turkish newspaper HaberTürk reported on Wednesday. The Turkish Armed Forces (TSK) will take delivery of the first batch of 30 Lockheed Martin F-35 single-engine fighters at a ceremony in the United States on Jun. 21, following which Turkish pilots will receive intensive training in the aircraft at Lockheed Martin’s headquarters, Defense World reported. The high-tech fighters boast impressive specifications, with one version including both stealth and vertical take-off capabilities. Although a bipartisan bill with significant political support has sought to block military sales to Turkey, the sale of the F-35s will not be affected since parts of the fighter are being produced in Turkey by state-owned defence company Turkish Aerospace industry (TAI), HaberTürk reported. HaberTürk said that the date of Jun. 21 was revealed by “diplomatic circles” while the newspaper was enquiring about whether the sale would be made. The bill was proposed to the U.S. Congress on May 8, calling for a report on U.S.-Turkish relations and demanding the suspension of U.S. weapons sales to Turkey until the report’s publication. The bill referred to “strained relations” between the pair of NATO allies, blaming these on “provocative actions” by the Turkish government and Turkey’s deal to purchase S-400 missile defence systems from Russia.